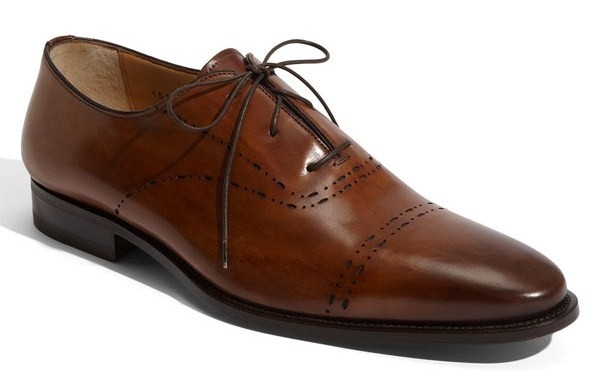 Santoni delivers yet another high quality dress shoe with these ‘Pembroke’ oxfords. The elegant and skillfully-crafted shoe is constructed of rich calfskin leather, antiqued by hand and accented with distinctive perforated trim. The exquisite Italian-made shoe is now available online.